Habitat for Humanity Tucson’s School Build program is an innovative partnership between our local affiliate and an area high school. First developed in Tucson, the program is now replicated at other affiliates across the country. Since the start of our first home at Santa Rita High School in 1994, the School Build program has completed 55 affordable homes with the help of over 1,500 students. We are currently working with the Sahuarita High School JTED program. Students learn about construction safety, the proper use of a wide variety of tools, math concepts related to construction, and how to interpret schematics, blueprints and technical drawings. They also build the home, learning skills such as framing, plumbing, electrical, and masonry. The School Build program is a combination of dropout prevention, job skills acquisition and a college preparatory program. 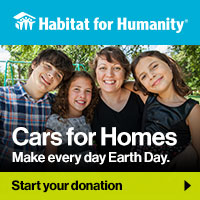 Habitat invites you to invest in the future. We are seeking funding to purchase building materials for the home at Sahuarita High School. Designate a gift to School Build today. Questions about this program? Please email at info@habitattucson.org to learn more.